In France, an insane surgeon's obsession with an actress from England leads him to replace her pianist husband's hands that got mangled in an accident with the hands of a late knife murderer which still have the urge to throw knives. When a nobleman is murdered, a professor of the occult blames vampires; but not all is what it seems. When Dr. Savaard's experiment in cryonics is interrupted by the short-sighted authorities, his volunteer dies, and he is condemned to death. He vows vengeance if he can survive his own hanging. Ignoring an ancient prophecy, evil brother Gregor seeks to maintain his feudal power on his his Tyrolean estate by murdering and impersonating his benevolent younger twin. Yvonne Orlac: How many times has he coughed? Marie, Yvonne's Maid: Two, six, eight, who can remember? Yvonne Orlac: Maybe he has a cold. Marie, Yvonne's Maid: If he doesn't cough, he doesn't love you, if he coughs too much, he has a cold. The legendary Karl Freund is definitely better known for his highly innovative work as director of photography, resulting in an extensive career (spanning across 5 decades) of beautiful and pioneering cinematography. With a body of work as impressive as his (ranging from Lang's "Metropolis" to TV's classic "I Love Lucy"), it is understandable that Freund's work as a director gets so easily forgotten. 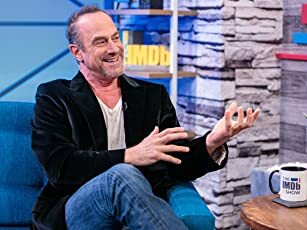 The fact that he only directed 10 films in his career also plays an important factor in this, however, at least 2 of his directorial efforts easily rank among the best horror movies ever made. The first one of the two (incidentally, his first work as a director in America), 1932's "The Mummy" is really the most popular, given that it is also one of the best performances by horror icon Boris Karloff; however, it is in the second one where Freund's talents really shine, making this last movie as a director his final masterpiece. 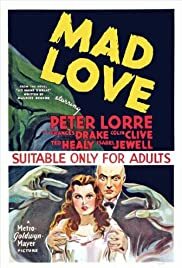 Loosely based on Maurice Renard's novel, "Les Mains d'Orlac" (literally, "The Hands of Orlac"), "Mad Love" is the story of Dr. Gogol (Peter Lorre), a brilliant surgeon deeply in love with a beautiful theater actress named Yvonne Orlac (Frances Drake). When season ends, Yvonne announces her retirement, and this prompts Gogol to finally meeting her. Unfortunately for Gogol, Yvonne tells him that she is actually married to concert pianist Stephen Orlac (Colin Clive). Saddened, Gogol leaves, but a bizarre turn of events will make him meet Yvonne one more time: Stephen has lost his hands in a terrible train accident and only Gogol's expertise will be able to save him. While he saves Stephen's hands, the operation begins to have serious side-effects, not only in Orlac, but also in Gogol. While the screenplay was written by P.J. Wolfson, John L. Balderston and the usual assortment of contributing writers, the movie is mostly the work of Guy Endore and Florence Crewe-Jones, who made the adaptation from the French novel. Endore was a regular writer for MGM at the time, and helped to write other MGM's horrors like "Mark of the Vampire", "The Raven" and "The Devil-Doll"; it is his style, mix of Gothic and pulp novel what flows through the movie, although he remains true to the essence of Renard's classic horror novel. Renard is often credited as being the "inventor" of the Mad Scientist archetype, and truly gives a great use to it in his novel; appropriately, "Mad Love" keeps this psychological drama between characters and brings it to life, spending considerable time detailing the characters and their relationships, building up the necessary tension for the grandiose finale. After directing several melodramas and comedies in a row, "Mad Love" allowed Freund to once again return to his expressionist roots and create a haunting tale of horror and madness in almost the same vein as his earlier classic, "The Mummy". Unlike what would be expected of a cinematographer, Freund dedicates as much attention to the non-visual aspects of the film as he does for the visual imagery, playing with the many different elements that form the bizarre love triangle of the film. The story itself focuses a lot in psychological themes, ranging from neurosis and hysteria, to compulsive obsession and dangerous psychosis; Freund makes great use of this themes across the movie, although it is obvious that he prefers the character of Dr. Gogol to the other protagonists of the film. Like Im-Ho-Tep the mummy, Dr. Gogol is driven by the mad love he feels for a woman, but unlike with the mummy, Freund makes sure to never fully transform Gogol into a monster, making him very human and frighteningly realist. Peter Lorre's acting is essential for this last element in Gogol's persona, and he delivers one of this most amazing performances in his career. While lesser known than his characters in "M" or in "The Maltese Falcon", Dr. Gogol is certainly an iconic Lorre character that truly showcases Lorre's versatile talent. Frances Drake is surprisingly great, showing great emotion and excellent domain of the scene, giving her best to avoid being overshadowed by Lorre in their scenes together. Colin Clive, who would become famous as Dr. Victor Frankenstein in James Whale's films, delivers a truly effective performance as Orlac, but I found that Freund seems definitely much more interested in Dr. Gogol and his antics than in the pianist's neurosis, leaving few space to Orlac's growing insanity. Still, Clive does a very good performance despite the limited screen time his character receives when compared to Gogol. It is probably this last point what truly stops this movie from being a classic of horror, as with a runtime of barely 68 minutes, it feels too short and gives the feeling that something was missing (perhaps a few more scenes with Colin Clive) in this psychological thriller. It's not really a big flaw in the end, but I truly was expecting to see the wonderful story being explored a bit more, as personally I felt it somewhat incomplete. On a different business, and as expected in a film by Karl Freund, the cinematography is simply brilliant, Chester A. Lyons and Freund's protegé, Gregg Toland (who would become a legend on his own), are in charge of it and devise one of the most beautifully looking horror of the 30s, easily on par with Freund's job for Universal. 26 of 26 people found this review helpful. Was this review helpful to you?